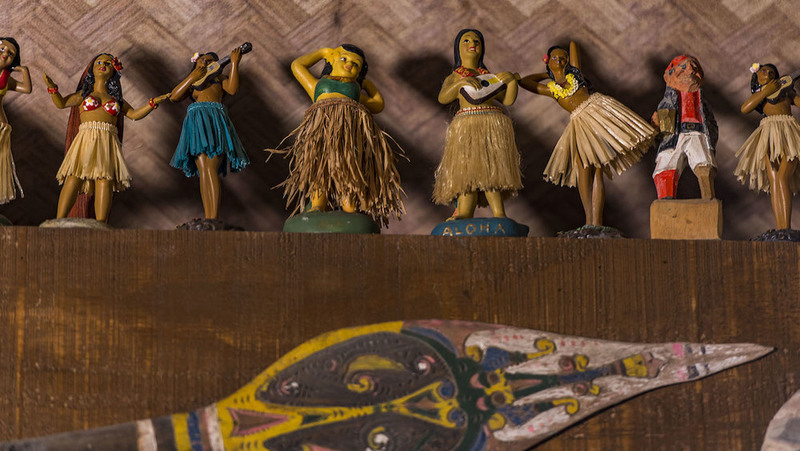 Have you discovered Trader Sam’s Grog Grotto at Disney’s Polynesian Village Resort yet? The “Grog Grotto” is the second location founded by the Jungle Cruise’s famed “head salesman”, Trader Sam. The Disneyland Resort’s original, “Trader Sam’s Enchanted Tiki Bar“, opened as a result of Sam’s expertise with head-shrinking potions growing into a passion for mixology. Word spread and soon guests from all over the world were enjoying his magical cocktails. On one of his sailing expeditions, Trader Sam landed on the sunny shores of Seven Seas Lagoon. Greeted by friendly natives, he decided this was the perfect spot to open his newest outpost, the “Grog Grotto”. Looking around this mystical cocktail lounge, one can spot many of the exotic artifacts he acquired on his voyages. 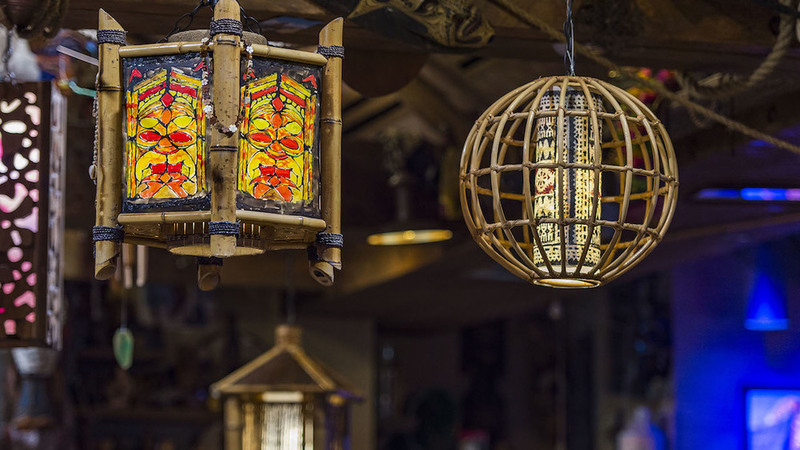 The place is chock filled with Sam’s collection of maritime treasures, Tikis, hula dancers, and Polynesian & Floridian vacation memorabilia. Even the Orange Bird has found a home at the Grotto. Fun!